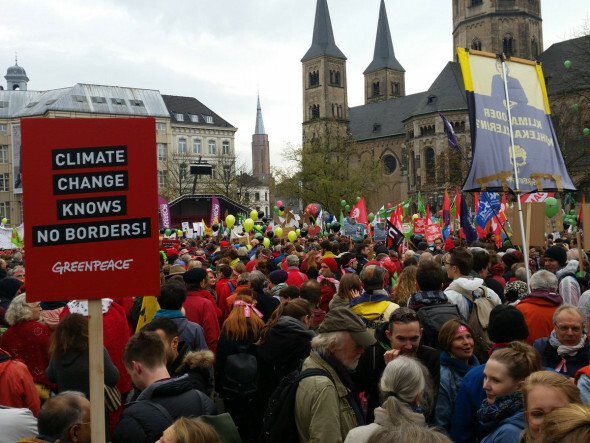 Ahead Of COP23 Climate Talks; End To ‘Era Of Fossil Fuels’ Now! 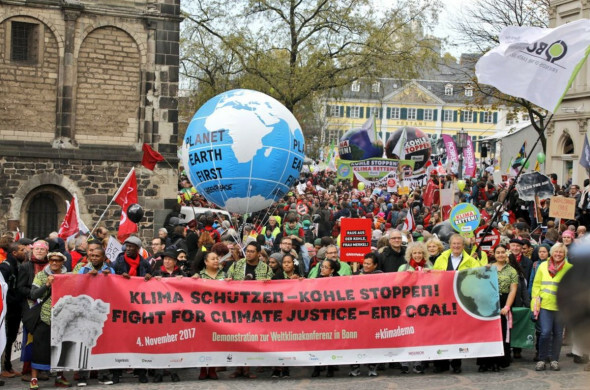 Just days before world leaders are set to gather in Bonn, Germany for the annual United Nations Climate Change Conference (COP23), tens of thousands of activists from across the globe kicked off a series of planned actions on Saturday by taking to the streets to demand an end to coal, denounce U.S. President Donald Trump’s climate denial, and highlight the necessity of moving toward 100 percent renewable energy as quickly as possible. But Trump’s decision to withdraw the U.S. from the agreement casts a “dark shadow” over the negotiations. As the New York Times reported Thursday, the Trump administration will attempt to use COP23 as a platform to “promote coal, natural gas, and nuclear energy” and argue that fossil fuels should “continue to play a central role in the energy mix”—despite the fact that the U.S. government’s own climate assessment, unveiled Friday, links fossil fuels to the warming of the climate. So while Trump and his allies are “twisting themselves into pretzels to justify blocking national and international climate action,” environmentalists are working to place pressure on world leaders to forge ahead with ambitious goals that place people and the planet over the interests of oil giants.